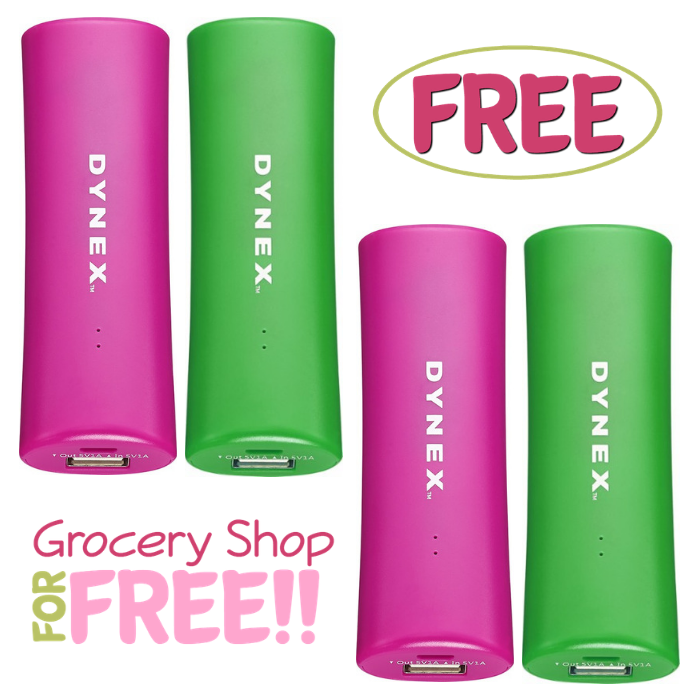 You are here: Home / FREEbies / FREE Dynex Portable Charger! Make sure that your phone is powered 24/7 with the Dynex Portable Charger from Best Buy! Don’t miss the opportunity to grab this FREE Dynex 2000 mAh Portable Charger for new TopCashBack members! This Dynex Portable Charger is ideal for keeping your smartphone powered. It would also make a great gift or stocking stuffer! Ultra Slim and Light: You can slip it into your pocket or bag easily. Power on the Go: 2000 may capacity can charge your smartphone anytime, anywhere you are. Simple Operation: Just one output for normal charging. Premium Quality: Integrated with polymer battery that effectively protects your power bank and device from overcharging, overcorrect, over voltage or short circuit to ensure a safe and stable charging. Spend at least $7.99 or more via this special link —> TopCashBack and get $7.99 in cash back! Click on the “Get Offer“ button and it’ll take you to Best Buy. Add at least 1 “Dynex – 2000 mAh Portable Charger” from Best Buy to your cart then shop as normal and checkout. If the price changes or anything happens to the stock, the deal is officially over. Once you checkout, transactions may take up to 7 days to appear in your TopCashback account. In about 14 days, $7.99 will post in your TopCashback account. Important: The deal is open until 11:59pm PST on 10/19/2019 or until supplies run out; whichever happens first; applicable for purchases made directly after clicking through TopCashback. Only one TopCashback account is permitted per member.